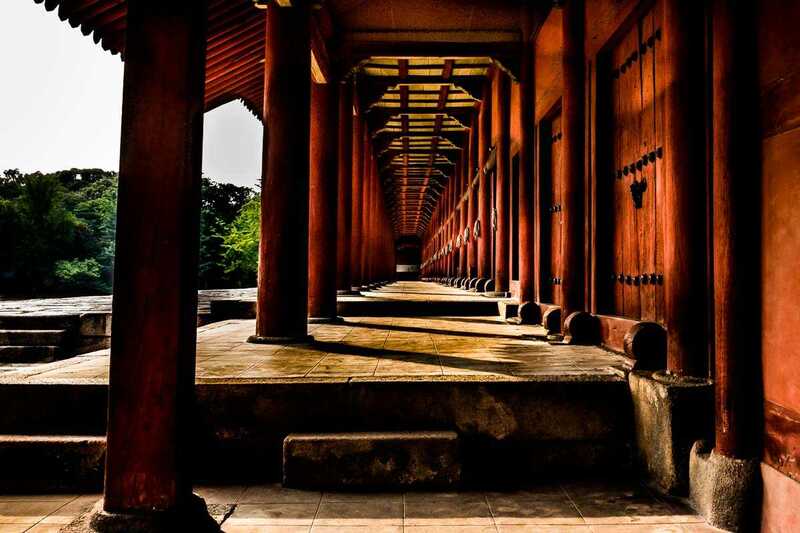 The Jongmyo Shrine in Seoul is an impressive, and simply beautiful, structure. At the time of its construction, it was the longest building in Asia. It’s now a Unesco World Heritage site in South Korea. The following is a list of UNESCO World Heritage sites in South Korea, with links to posts about the ones we have visited. South Korea has 13 Unesco World Heritage sites–12 cultural and 1 natural. Since our visit to South Korea was limited to Seoul and the DMZ, we did not get to see as many Unesco World Heritage sites as we would have liked. But we loved Korea and hope to get back soon. Seoul, in particular, offers an amazing variety of cultural touchstones, UNESCO recognized or no. We have visited hundreds of Unesco World Heritage sites throughout our travels. For an ongoing updated list of the sites we’ve been to, click here. This list is being updated as we go. To PIN this post, use the social media buttons above or below to share this in Pinterest format.